From the many recipients of the relief goods from SPi and the many more who will benefit from the remaining clothes we will be disctibuting, THANK YOU to all who helped pack, gave financial support, and gave relief goods. SPiMC and its members have donated boxes of food and more than Php2,300.00 in cash. It has gone and is still going a long way to helping so many of our people get through this nightmare. MANILA - Weather bureau PAGASA on Thursday said typhoon Pepeng (international codename Parma) is forecast to bring more rains and very strong winds in Northern Luzon including Metro Manila once it makes landfall Saturday afternoon. "There is a big possibility that it will become a supertyphoon. This is a very strong storm, packing winds of 175 kilometers per hour and gusts of up to 210 kph. Most likely it will make landfall in the afternoon of Saturday. That is when it is most critical," Nathaniel Cruz, PAGASA director for operations, said in a press briefing. Cruz said Pepeng is much stronger than last Saturday's tropical storm Ondoy (international codename Ketsana), which brought record amounts of rainfall and triggered the worst flooding in Metro Manila in 40 years. "In terms of wind intensity, Ondoy was only half of the strength of Pepeng. When it made landfall, Ondoy only had winds of 85 kph while Pepeng is 175 kph. However, we cannot really compare the two because it was the rain that was really destructive about Ondoy," he said. He added: "Our major concern with Pepeng is the disastrous winds - 175 kph to 210 kph. We expect typhoon Pepeng to intensify further as it moves towards northern Luzon." He said the weather bureau will give a forecast on the typhoon's estimated rainfall intensity before it makes landfall. As of 10 a.m., the new typhoon was sighted 520 km east of Borongan, Eastern Samar and is moving 24 kilometers per hour in the general direction of Northern Luzon and the Taiwan area. Cruz said the typhoon is forecast to make landfall over Aurora-Isabela by Saturday morning. It said the typhoon will bring occasional rains over the eastern section of Luzon and Visayas and more frequent rains in Samar and Bicol Thursday afternoon. Storm Signal no.1 remains hoisted in Camarines Norte, Camarines Sur and Catanduanes, he added. Cruz also likened typhoon Pepeng to super-typhoon Reming (international codename Durian), which killed at least 734 people in the country in 2006. "This could be like Reming. We are not just talking here about Metro Manila. We are talking of the entire Luzon area where there is probability of devastation in terms of flooding...and wind," he said. Dr. Susan Espinueva, assistant weather services chief of the Hydro Metrological Division of PAGASA, said major dams in Northern Luzon will be releasing water today until Friday before Pepeng hits. "All major dams in Northen Luzon wll be releasing water to lower the water level so that when the storm hits, there will be a buffer of storage capacity in our dams and the spillover will not be as severe,' she said. The government has started preparing more evacuation centers as it anticipates more people to be displaced by the new storm. Disaster officials fear more rains spawned by the typhoon could trigger another massive flood as streets and drainage systems remain clogged from the tons of debris left by the previous deluge caused by tropical storm Ondoy (international codename Ketsana). As of 6 a.m., the National Disaster Coordinating Council said more than half a million families of 2.50 million individuals have been affected by Ondoy in 11 regions, including Metro Manila and the Calabarzon area in southern Luzon. It said that a total of 686,699 people are now staying in 726 evacuation centers. It said Ondoy’s death toll has reached 277 and 42 were still missing. The storm, which also devastated Vietnam and Cambodia, damaged crops and infrastructure worth at least P4.80 billion. Join us as we celebrate the developments initiated by GK and supported by thousands of people, including SPi Employees. New houses, new homes, new jobs, new lives, these are courtesy of the people who tirelessly and selflessly offer their resources for the benefit of others. Let us join all the activities, especially the Martsa Labas sa Kahirapan on October 10, 2-4pm at the Fort. See poster below for more details. WARNING: The video trailer in the site www.earthlings.com is not for the faint hearted. I came across this site in a facebook account and have been truly bothered by it. Violence against animals may already be a culture. It may already be a custom for some. Most people we know are omnivors, both meat and vegetable eaters. A lot of people we know wear leather (shoes, jackets, accessories, etc.). We have all come to know that meat, leather, and some medicines come from various animals. In a finite world where resources are become more scarce, I understand the need to fully utilize the world's resources, and everything and everyone is a resource. But we do not remove the heart of a living human being in order to transfer it to the ill. We do not transplant a cornea from a healthy donor. We do not kill, much less brutally kill, another human being in order to harvest some organs. We do not treat other human being inhumanely. But why do we treat other beings in a different way? I removed my leather shoes as soon as I finished watching the entire trailer. Although my shoes are synthetic leather, the thought that it might have been some animal's skin before gave me the creeps. I own a pair of real leather boots but have only worn them once. I never really liked them. All these may sound hypocritical for someone who loves burgers, hotdogs, and steaks. But I do believe that as humans can donate their organs to others upon their death and through humane ways, so can we utilize animals but through humane ways. There are means to properly maime a cow or pig so that meals may be served but no hurt comes to the animals. There are means to properly utilize our finite resources but not at anyone or anything's expense. I truly understand that some people may see animal cruelty as a means to a good end (feeding their families), but there are better ways. There are more humane ways. Basically, even if there is a finite set of resources on earth, we have an inifinite number of ways to properly and humanely transform them into anything. We at the SPi Mountaineering club believe in the ethical treatment of animals. The SPiMC has had its share of untoward incidents (broken noses due to falling debris, sprains, cuts, wounds, etc.). In its 10 years, we have not have a major injury or major concern. This is due to proper planning and manageable risk taking. This post is written with the news of the missing Pundaquit-Anawangin climbers in mind. Swept by the strong flow of the waters of the river channel in Pundaquit, the two were swept far and have not been found yet. It is truly sad. To think that others have already been victimized by this river. For years now, a lot of deaths have been attributed to the adventures that we take in the wild. Storms, ragging rivers, flash floods, unfamiliar trails have claimed so many lives and yet some have not yet learned the lesson: NEVER UNDERESTIMATE THE POWER OF NATURE! We know that experience is the best teacher, but pleaser don't wait for the experience that will teach you how to properly go about an adventure. Learn from other people's mistakes. I call on Adventure groups (mountaineering, trekking, diving, snorkling, etc) to learn more about the dangers of the adventures we take. Risks are always there, but understanding these risks and knowing when to take them and when not to can spell the difference between going down on both feet, or on your back in a box. and other mishaps that we could have prevented. We learn much each time but we also read through the adventures of other groups to learn about what works and what doesn't. We may be a young group compared to some or much older compared to most but age is not directly proportional to experience. We have much to learn, much to experience, and much to go through. But with each cautious step we take, we make sure that the stories and memories we make will be told with laughter and not tears. Let us promote safety and ample risk taking when taking adventures. Is he from the Philippine Military? Shame! I guess this is only in the Philippines where a general is carried on the shoulders of another man so that he won't get wet. It is embarassing to look at, given the American behind him walking through the water, not minding the wetness. He was not assisted in any way. This was shown on TV. Truly embarassing! I believe the General (Mr. Marciano Ilagan) must be replimanded for conduct unbecoming of a Military Personnel. This may be the reason why there are so many fights against rebels that our military loses! Leaders do not show how to behave properly. It is indeed a sad sight to see, a general scared of the waters! Running is not just the latest trendy exercise today - it is now a lifestyle. When you run, you don't only head towards better health and longer life, you're headed towards a quality of life that you'd wish you had for many years now, and for many years to come. And, with Globe's Run for Home, the running trend is literally taken to the streets to take people off the streets. Run for Home will help fund Habitat For Humanity’s on-going construction of houses in "Bayan Ni Juan in Calauan," a housing relocation site in Brgy. Dayap Calauan, Laguna under the Kapit Bisig Para sa Ilog Pasig Project of ABS-CBN Foundation. Run for Home is scheduled on July 19, 2009, at the Bonifacio Global City, and offers four distances: 3k, 5k, 10k and the half-marathon 21k. Registration is from June 19 to July 14, 2009. Run for Home is Globe's and Ayala Land Inc.'s first running event. The brilliance of this being organized/hosted by Globe, is that the registration can be done with Globe's website, and pretty much drives all the technical aspects of the race. Individualized electronic timing chips will be given to each participant to automatically track their time, from the start of the race till the end. These times can be viewed and followed on http://www.globe.com.ph/runforhome. Throughout the race course, there will be Pixlink upload and Tattoo blog booths, so that runners can update their blogs and social networking sites with comments on the race and upload pictures taken during the run. After the race, you can check times, race results, and official photos on the Globe website. As an added bonus, new and existing Globe subscribers can avail of several registration options, with special promos based on their active plans and subscriptions. Run for Home is made possible in cooperation with Ayala Land and Bonifacio Global City, and supported by major sponsors Philippine Star and Adidas, as well as by 100 Plus, Fitness First, Intercontinental Manila, Photovendo and Timex. Run for Home's media partners include ABS-CBN, GMA, Barangay LS 97.1, 99.5RT, Wave 89.1, Monster Radio RX 93.1 and Jam 88.3, and the race is organized by Finish Line Inc. So many children are in the streets, peddling their wares to passers-by. This is a sad reality but there are many different reasons these kids are not in school. One reason is that they are being depended on to put food on the table. Another reason is that they do not have enough money to provide for their school needs, books, notebooks, pens, bags, writing pads, etc. A small cost compared to how much we spent for our own education. There are a lot of school that receive assistance in cash and kind but there are many more who need our attention. 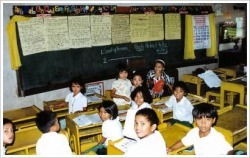 3 schools, particularly in the Benguet portion on Northern Luzon, need our assistance. Bunagan Primary School, Pideli Primary, and 5H Sweldo Day Care Center need school supplies and learning implements. SPiMC, in coordination with Brgy. Captain Anselmo; Ms. Emerita Tamiray of Mt. Pulag National Park; and Ms. Maxima Onil, Head Teacher, will be bringing up sets of school supplies, learning materials, and toys to the various chosen schools in Benguet. Proper education is the right of every child. Let us promote education through climbing. Join us as we embark on this small but great activity - Mt. Pulag: Climb for Education. See Calendar of Events for more details. End Hunger: Walk the World" is an annual event to raise money and awareness for WFP’s efforts to fight child hunger and malnutrition. The Walk is a joint effort of WFP and its corporate partners, led by TNT, Unilever and DSM. Employees from these companies walk with WFP Goodwill Ambassadors, staff, and beneficiaries as well as government and NGO partners to show their solidarity in the fight against hunger and malnutrition. The idea of a global Walk against hunger came from WFP’s first corporate partner, TNT, in 2003. It was inspired by the millions of poor children around the world who walk several kilometres to school every day – often hungry and barefoot – determined to get an education and improve their future. WFP provides free school meals to tens of millions of these children. Nutritious food helps students concentrate on their studies, encourages parents to send children – especially girls – to school, and helps children develop their full physical and mental potential. Find out more about WFP’s school meal programmes. 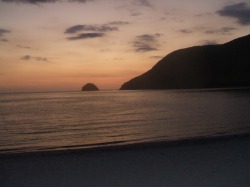 just got back from Anawangin, Zambales. Dynamite fishermen everywhere. three spots seen in a 24 hour span where explosions took place. right in front of the campsites, less than 300 meters from shore was where i witnessed the first one happen. to make things worse? i saw the fish hauled from the bankas later on being peddled by the campsite caretakers. WTF! ...for those of you who've been to Anawangin, facing th sea, towards the left, there's a ledge you can climb up to from the beach, where you can sit on the rock formation's edge 90 feet above sea level. it's a spectacular view, now no more, that it permanently reminds me of the spine-frightening feeling of the ground/rock formation shaking even before you hear the explosion beacuse of it's shockwave. i'm not f***ing kidding. it scares you ike hell to feel the ground shake a split second before you hear the explosion. i sat there helpless. i want them(dynamite fishermen) dead; if i had my way. ...those caretakers watching over the campsites are the ones selling the haul. patronizing the very source of destruction of the beauty of the place that people go there for. stupid; right? ..nothing to say at this point, but i'm seriously saddened. ..by the way, the other two spots were very close to the cliffs and had deep water less than 50 meters from the walls. if you got me right, they could have been great popping spots. but now, no more. ...i wanna spread the word about the place. i wannna boycott these tourist attractions, if it's the only way to stop the destruction. why? because for the fish sold to campers, like we hear it on TV, "...if the buying stops, the killing can too..."